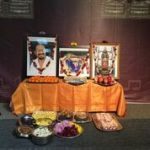 Sri Swamiji conducts a Mahamantra Mass Prayer on Jan 1st every year, hailing the Mahamantra as a Kalpatharu that can grant all desires; just like how Sri Ramakrishna Paramahamsa became a Kalpatharu to all his devotees on Jan 1st, 1884. 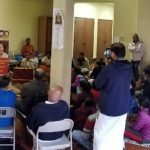 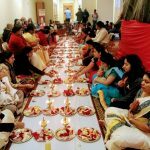 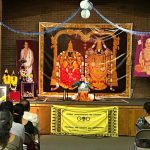 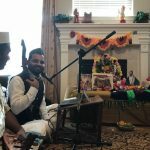 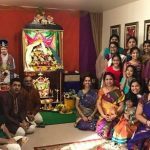 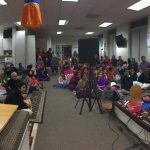 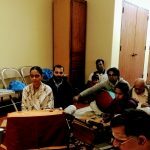 In line with Sri Swamiji’s tradition, Sri Poornimaji conducted a Mahamantra Mass prayer in Houston, at the Sri Guruvayurappan Temple on Monday,Jan 1 2018. 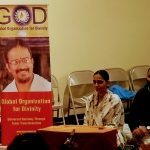 She spoke about the greatness of the Mahamantra sankirtan and its powerful ability to fulfill prayers. 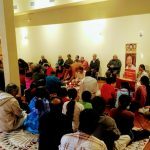 Hundreds of devotees then chanted the Mahamantra, and began the New Year on an auspicious note.